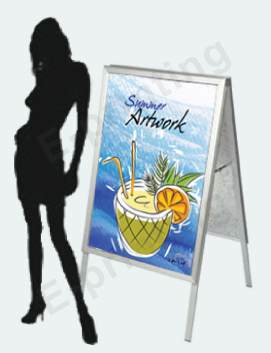 A-Boards are a fantastic way to promote your company. A strong aluminium and steel construction means that they will withstand high winds, and an easy fold away mechinism makes for simple night time storage. 3 stock sizes available for delivery in 3-5 days.